Well opm had the bare 11 against 2nd placed Penzance. 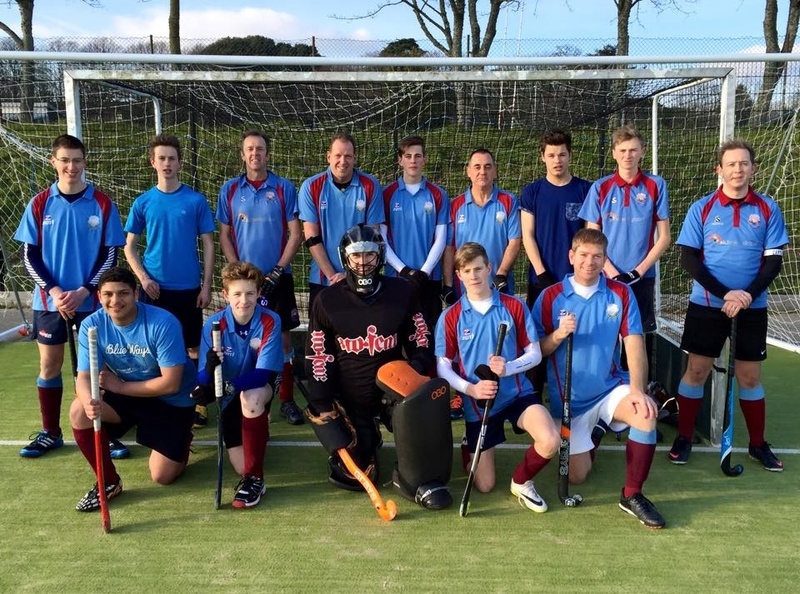 The Penzance line up included Alex Western, a drag flick specialist. OPM went behind to a Western drag flick that Keeper Matt Chan got a hand to, but the power Western generated was to much. Shortly after a scramble in the D saw Penzance double their lead, the young forward placing his shot just out of the sprawling Chan's reach. Chan then made an amazing stick save OP's looked to attack on the break using the pace of Blaine Loughran and Corey Ward, however it was the guile of Joe Loughran who played his brother in one on one with the keeper. Blaine finished cooly despite having to go headlong past the keeper. Half time 2-1. Second half saw opm's again playing on the break. Winning a short Blaine again slotted home via a defenders foot. Chan had another drag flick save, followed quickly by another. This time tipping Western's effort on to the crossbar to the relief of Rhys Logan who's head was behind Chans gloves! Blaine Loughran completed his hatrick with brother Joe pulling tbe ball back from the backline. Opm's saw out the game witb a few scares as Penzance pressed hard for an equaliser. The whole team worked hard for the result. But Chan was M.O.M. by a country mile. Thanks to the Umpires who allowed the game be a spectacle.